This summer, I will be working with the Domus Foundation, a nonprofit organization that works with adolescents in low income, at risk situations in Stamford, Connecticut. The Domus Foundation works on behavior modification and attendance retention at their charter schools through multiple models, including the Family Advocate model. The Family Advocate model looks at the emotional well being of the children, in and outside of school. This requires at home visits, in school visits, student success plans, and more. Over the next two and a half months, I will be shadowing these Family Advocates, as well as helping gather behavioral and attendance based data for the future success of the Domus Foundation. Since the students are in school for the first few weeks of my time here, I am helping the middle school, Trailblazers Academy, with preparation for data analysis of attendance and the eighth graders’ graduation. By the second day I already knew a handful of the seventh and eighth grade students and was helping them with their science fair projects due at the end of the week. 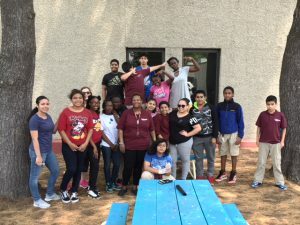 In order to get to know the students better, I joined the Director of Family Advocates, as well as a couple of the Family Advocates on a community service project. A sense of community is important to the schools that partner with Domus . Many children lack this feeling at home and the goal for the schools is to make each and every student feel comfortable and safe with every staff member. 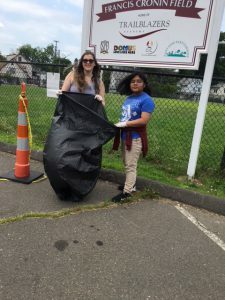 During the two hour community service project, the students and Family Advocate staff cleaned up the outside of the school by picking up trash. We then debriefed with the students about their volunteering experience and what they would like to do in the future. 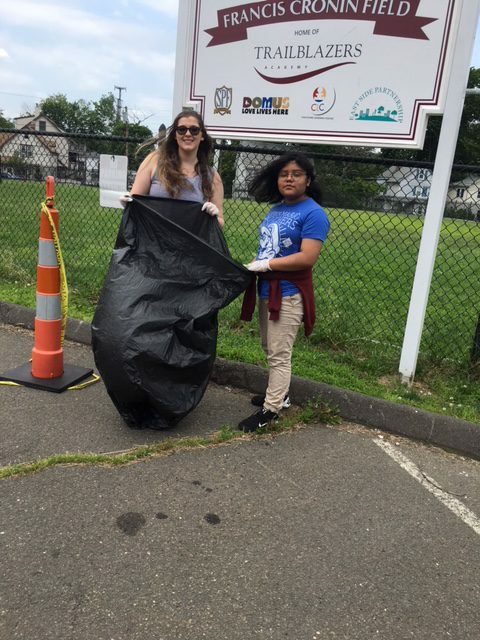 This community service experience showed the students how important it is to help others and how good it can feel to do so. By the end of the activity, I had students coming up to me asking which volunteer project they could participate in over the summer and if I could be their Family Advocate for the next school year! At this moment, it made me realize how important this internship is to me and to the students. The majority of these students have been sent to Trailblazers Academy because they were deemed the “trouble kids”and have been expelled from their other schools. Most students have experienced trauma and struggle to be successful individuals while trying to figure out how to cope with their personal situations. The fact that some of these students started to open up to me with their stories and want me be a continuing part of their lives shows how these children are craving attention and love that will help them succeed in life. As my first week of my internship is coming to an end, I cannot wait to continue my relationships with the staff and students at Domus and Trailblazers Academy! 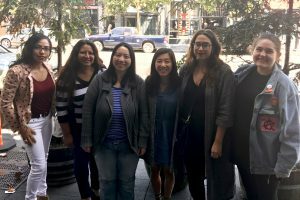 This summer, thanks to the Judith Cossin Berkman ‘59 Endowed Internship Fund in Social Work and the Hiatt Career Center at Brandeis, I had the incredible opportunity to travel to San Francisco and intern with Homeless Prenatal Program. I had dreamed of working with HPP for over a year, and the WOW program made that possible for me. Now that I have been back in Waltham for a week and have started classes, I have had time to reflect on my experience at HPP, so I can share that with all of you. Before I began my internship, I established three goals for the summer. Upon reflection, I realized I did not spend much time working toward my academic goal of developing a research question for a senior thesis, though I was able to explore concepts I learned about in school through direct experience. Because my internship was focused on gaining professional experience, meeting my career exploration and skill development goals felt natural. I worked closely with the staff at HPP to provide both direct and indirect social work services. Working daily with the staff and clients at HPP strengthened my interpersonal skills and improved my professional abilities to support a diverse range of clients. After three months at HPP, I feel confident in my plan to pursue a career in social work and prepared to apply to MSW programs this year. The most fulfilling thing about my internship was working closely with the DV Advocate team and developing strong relationships with my coworkers and supervisor. 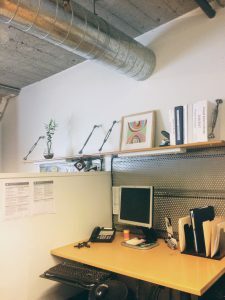 Joining a team that has been together for a long time and already has a particular dynamic can sometimes feel disruptive and awkward, but the DV team absorbed me quickly and began to feel like a (highly productive) family. Unbeknownst to me when I applied for the internship, I came into the team during a crucial time of transition. Emotions were high, as were workloads, so it was clear that my role on the team would be primarily supportive. I enjoyed the level of responsibility the gave me when assigning me tasks., and I felt especially proud of my ability to effectively organize the files during the transition. One of my favorite things about working with the DV team was our ability to have a good time even when stress levels were high by taking trips to the movies and playing games during lunch. As August ended, so did the DV CalWORKs program, into which I poured my energy this summer. While two of the team members will remain at Homeless Prenatal after the DV CalWORKs program ends, the other two will be moving on to new opportunities, as am I, and as will the other intern. Endings are always sad, and I will miss these people dearly. I am incredibly thankful to have spent the summer working alongside them. A group photo of our team from this summer, taken after our intern appreciation lunch. Next week will mark my two-month anniversary in San Francisco. I have been enjoying my summer and spending my free time doing things like attending the Pride celebration, watching an all-female Queen tribute band on the Fourth of July, driving down Route 1 to the Santa Cruz Beach Boardwalk, and binge-watching procedurals on Netflix. Amidst all this fun, I’ve also been working 30 hours a week at my internship, and some things have changed since my first week at Homeless Prenatal Program. Jocelyn and I starting the day off right with a 9 AM selfie. 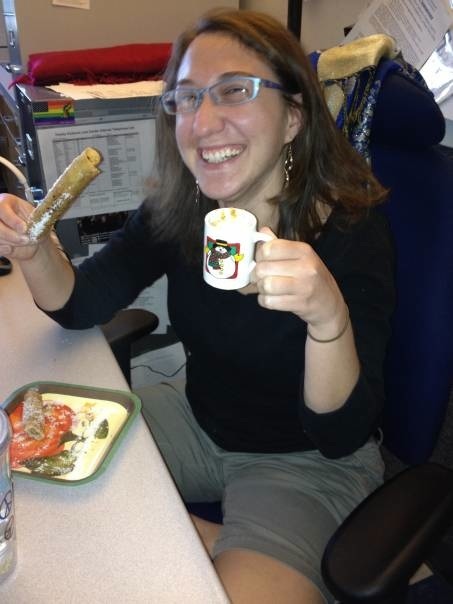 First, our team got a new intern, Jocelyn, who is a third-year at UC San Diego. 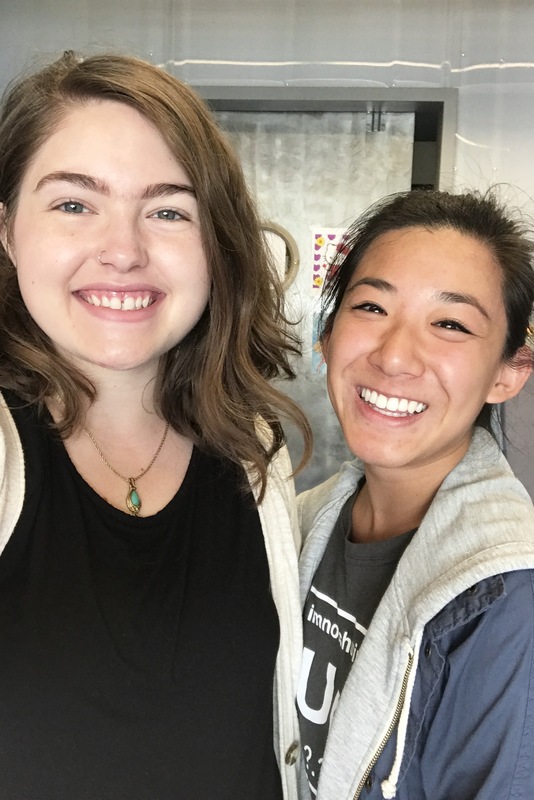 We quickly bonded over the fact that we are both living in the Outer Sunset neighborhood and started carpooling three times a week and going to get poke bowls during our lunch break. But there have also been more institutional changes. Shortly after my internship began, I learned that, after housing the program for five years, HPP would not be retaining the contract for the DV CalWORKs program. 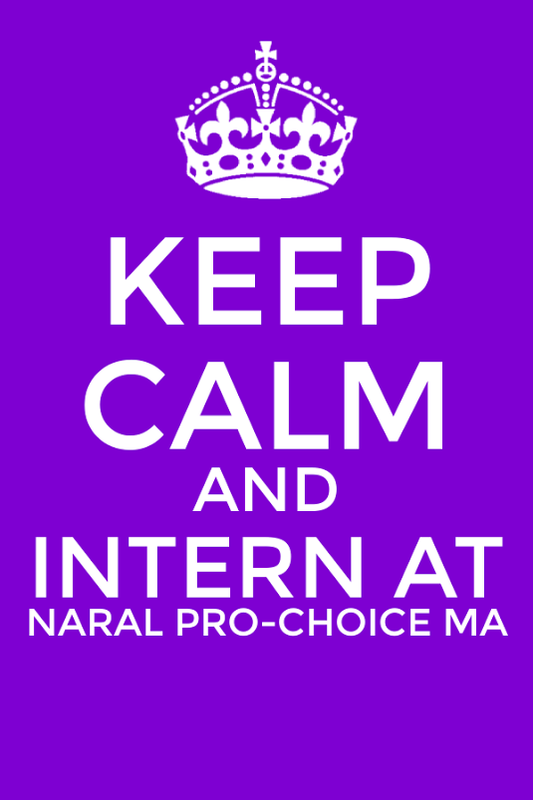 In fact, the entire program will be taken over by a new agency by the end of August, right after my internship ends. I am getting a unique experience to observe and facilitate the transition of the program. I have gotten to hear both from the executive staff about why they decided to pass along the contract and from the DV advocates about how they are feeling about the end. The domestic violence advocate team is a tight-knit group of women, all of whom have been meeting with clients in this role for two or more years. So, naturally, this transition has had a significant emotional impact on both the team and the clients. 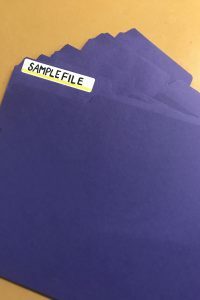 These are my beloved purple files into which I put all the client information we will be keeping before sending the rest of the files to the new agency. My workload has also changed as the transition progresses. At the beginning of my internship, many of my tasks involved calling new referrals to schedule appointments, but now that the contract is being transferred to the new agency, so are all the referrals and clients. 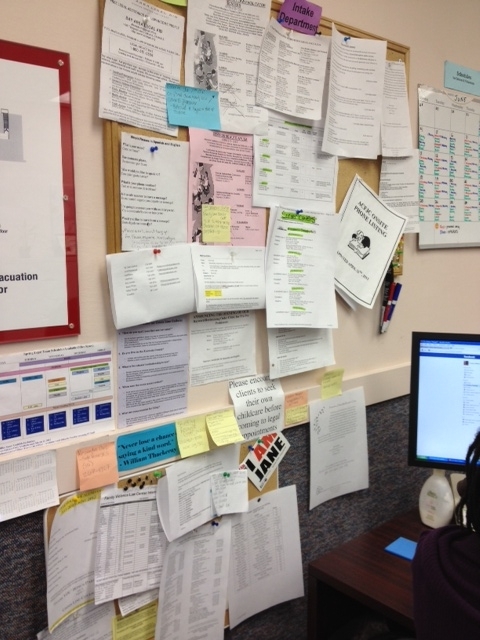 Many of my daily tasks now involve preparing clients’ files and sending them to the new agency. As the DV CalWORKs program winds down, there are not many opportunities for me to work directly with clients from the program. However, I have been training to participate in the intake and triage process. I studied and took a test to get certified for the Adult Needs and Strengths Assessment (ANSA), a tool HPP uses to assess all of their clients. 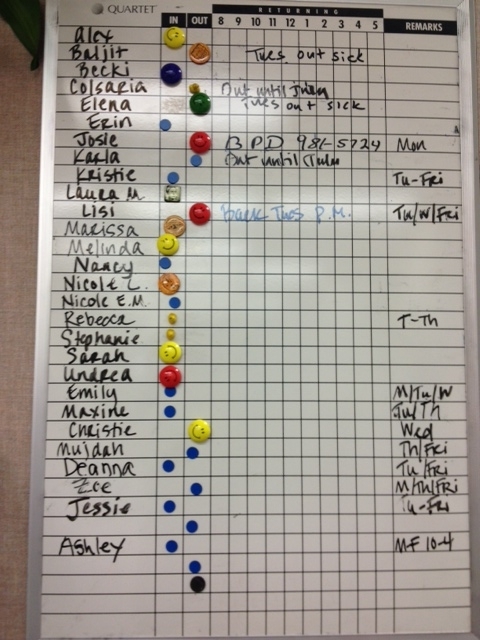 I have also been shadowing staff members as they meet with first-time clients to assess their needs and make referrals. Ideally, by August, I will be able to take shifts doing triage on my own. This will provide me with crucial direct service experience to prepare me for a future in social work. Working with a non-profit as prolific as Homeless Prenatal Program has provided a lot of opportunities for both personal and professional growth. Being a student of Sociology and African and Afro-American Studies, I have learned a lot about oppression and inequality on an academic level, but academic essays can’t stand-in for people’s actual narratives. It is clear that there are many disempowering forces at work in the lives of HPP’s clientele, but it is also clear that HPP offers a space for those clients to be empowered and supported through direct services and advocacy. Boleto de estacionamiento numero dos. 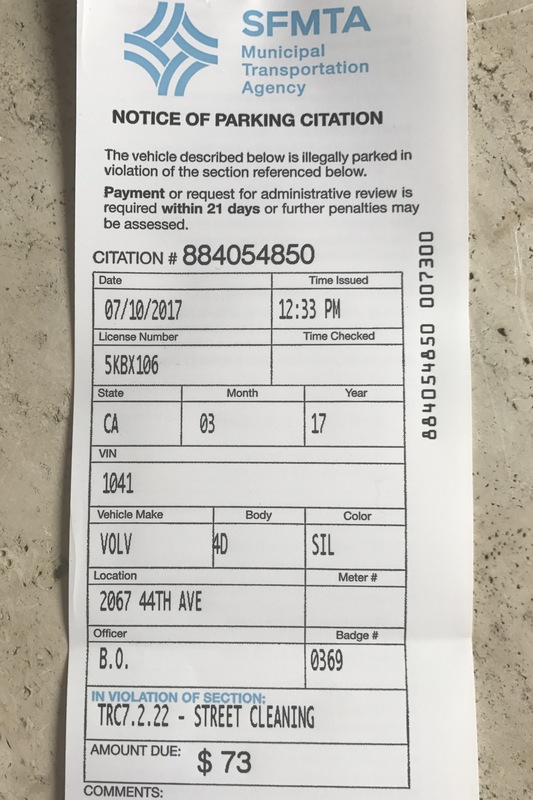 This time I forgot to move my car for street cleaning. One of the most unique and critical parts of HPP’s model is its practice of hiring former clients and others directly from the community it serves, which supports the upward mobility of the community and promotes culturally relevant services. This is a completely different model from that of universities like Brandeis and pretty much any other industry, as well. While non-profits certainly have their challenges, like transitions, and flaws, like depending on government contracts and private donations for funding, Homeless Prenatal Program has taught me a lot about how non-profits can empower individual clients and communities. 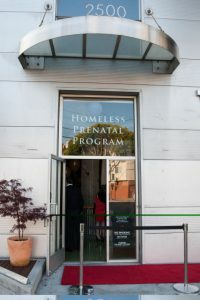 The front entrance of the Homeless Prenatal Program. This is a photo from an event that I found online. There isn’t a red carpet everyday, I promise. 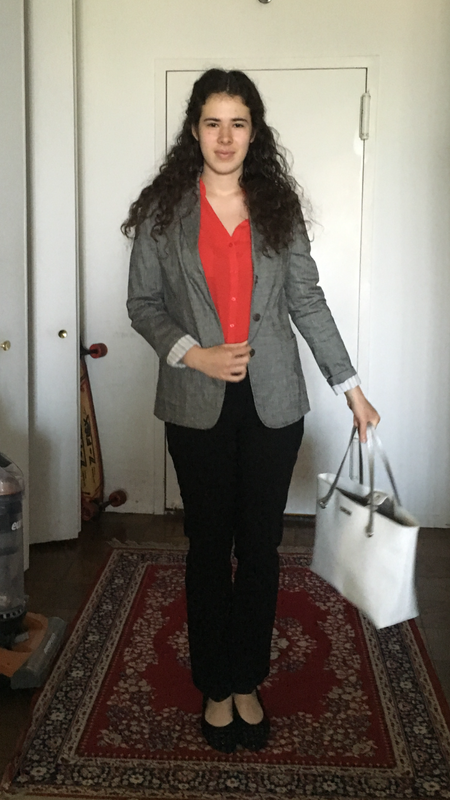 After almost 10 hours of travel, I arrived in the Bay Area on a Monday, ready to begin my internship with the Homeless Prenatal Program (HPP). 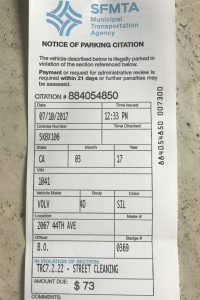 I am lucky enough have access to a car this summer, so on my first day, before I even stepped into the building, I learned about the stress of traffic and parking in the city. 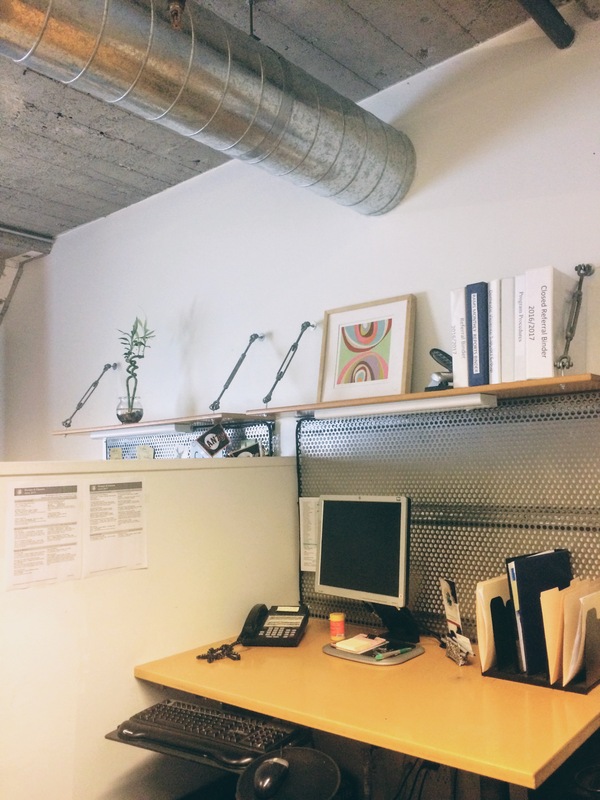 Located in the Mission District of San Francisco, an area known for its strong Latinx community, HPP is situated in a building purchased from a failed business during the dot-com boom. Thanks to its origins in the tech industry, the building itself is very hip with exposed piping, natural lighting, and an open layout, which HPP has paired with artwork and bright colored paint to make the site feel welcoming and friendly. On my first day at HPP, I received a full tour, signed paperwork, familiarized myself with the online software, and met the team I will be working with this summer: the DV CalWORKs advocates. My cubicle in the DV CalWORKs office. Notice the metal ceiling, exposed pipes, and shelving suspended from chains. CalWORKs is the welfare-to-work program for parents with children under the age of 18 in the state of California. Typically, recipients of CalWORKs receive a monthly stipend while they are going to school or searching for work for up to 48 months. However, a significant portion of CalWORKs recipients qualify for an exemption from the standard requirements because they have experienced domestic violence (DV). HPP is contracted by the Human Services Agency (HSA) to run the DV CalWORKs program. HPP’s DV advocates ensure that CalWORKs recipients who have experienced DV receive an exemption, help them meet the CalWORKs requirements, meet with clients on a monthly basis, and connect them to other resources both inside and outside of HPP. In my role as an intern with the DV CalWORKs program, I am learning how to input new referrals from the HSA into HPP’s system, call new referrals to book appointments, and file clients’ paperwork. Mission: In partnership with our families, break the cycle of childhood poverty. The DV CalWORKs program is only one small piece of what HPP does. For almost three decades, HPP has been providing families experiencing economic insecurity and homelessness with lifesaving resources. Over the years, HPP has expanded rapidly to meet the needs of its clients and now staffs over 80 people who provide services including housing assistance, prenatal care, parenting advice, community health worker trainings, a free computer center, support groups, and financial coaching. 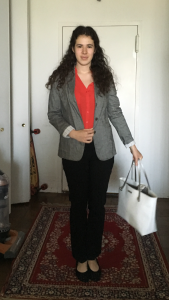 My supervisors at HPP are really invested in providing me with a wide range of experiences across HPP’s many other programs, so I will be supplementing my internship with DV CalWORKs by shadowing the staff from other programs throughout the summer. 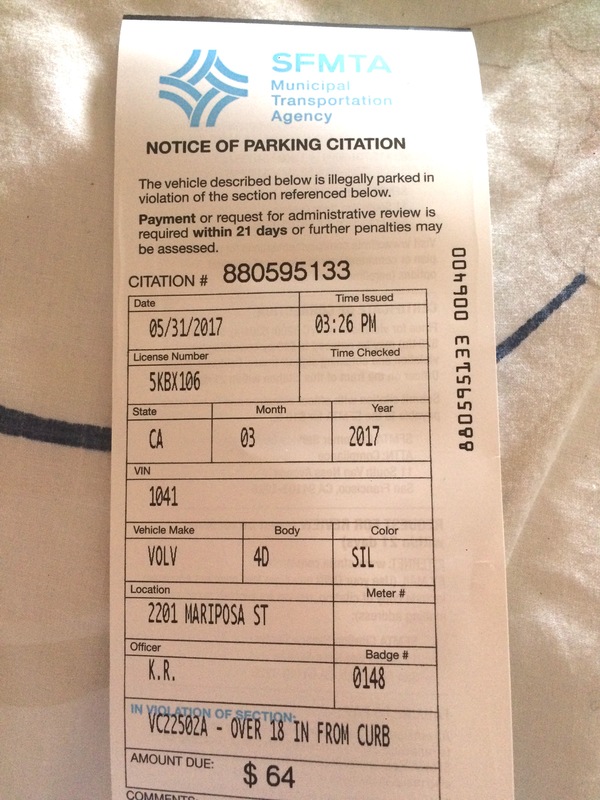 The parking ticket I received during my first week in San Francisco. Imagine walking out of a long day of work to find this!!! As someone who aspires to pursue a career in social work, HPP is a great organization to work with. One of my goals for this summer is to develop the strong cultural competency skills required to provide effective and relevant support to diverse populations. Shadowing case managers at HPP will help me achieve this because HPP serves a population primarily comprised of Latinx, Asian, and African American women experiencing poverty and homelessness. HPP is also the perfect place to achieve my personal goal of building strong relationships with coworkers and clients because the culture of HPP is one in which everyone knows everyone else and because the DV Advocate team is such a tight-knit group. To achieve my academic goal for the summer, I hope to explore the intersection of race, poverty, gender, and reproductive rights through direct service and engagement, which will inform my future studies at Brandeis. My last goal is to learn how to park. 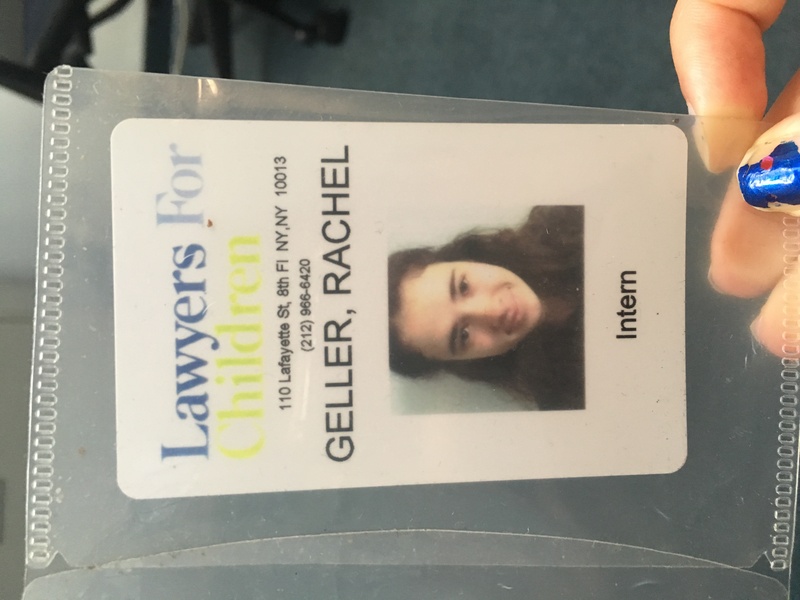 In the final few weeks of my internship at Lawyers for Children, I spent more time accompanying the social worker I was shadowing on court appointments and client interviews. I also started to form closer bonds with particular clients I had met multiple times over the course of the summer. Two of the goals I set out for myself at the beginning of the summer were to learn how to be a more effective advocate and to improve my communication and listening skills. By watching the way attorneys spoke to their clients before court and spoke up for their clients in court, as well as observing the way family court judges took into consideration a child’s wishes, I’ve seen first hand the way that advocates work to help those in need. I also learned a lot about how to listen effectively to children by observing the way the social worker conducted interviews and in speaking with the clients myself. One of the skills I observed and developed at LFC that I think will be particularly helpful in the future was how to talk to kids about trauma in their lives in a way that is empowering to them and does not require them to relive the experiences we needed to get on the record. Although it was often disheartening to hear about trauma in children’s lives and not know for sure whether or not we could help or heal them, I felt sure at the end of each day that the work we’d done had a positive impact in our clients’ lives (whether we were acting only as a listening ear or fighting in court to get them removed from a dangerous home environment). Having a positive impact in our young clients’ lives made all the work I did this summer entirely worth it. I would definitely like to continue working to improve the lives of children in the foster care system in the future. If I were to give advice to another student who wanted to work at Lawyers for Children, I’d tell them to prepare to work hard. Interns were with their supervisors all day which meant that they were living the life of an attorney or social worker during the whole internship. The advice I would give to an individual interested in an internship working with foster care children is to think hard about whether or not they have the patience to work with children and whether or not they really enjoy it before they sign up. Children can sense whether or not someone is invested in their lives and is listening fully to their narratives. The thing I am most proud of after working at LFC for 10 weeks is the connections I made with two clients in particular. One child, a 14 year old trans girl, was in a situation where her case planner was transphobic and she wasn’t getting the support she needed at her placement. During a conference about the youth’s progress at the facility she was placed in, I got on the phone with the facilitator and explained what was going on. Our client heard me, and seemed to appreciate my standing up for her. Another client who I was helping get supplies for her unborn child was telling me about her life and stopped to say, “You know, I think you’d make a great social worker. It seems like you actually care about what I’m telling you.” It was then that I felt most sure that I want to continue working in this field in the future. 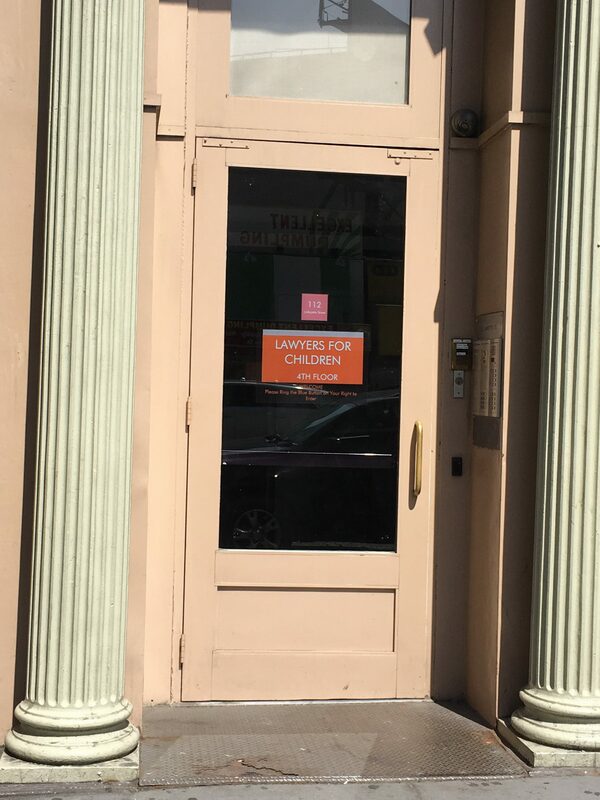 In the past couple of weeks at Lawyers For Children, I have gotten to meet and work with many different clients that were assigned to the social worker I’m shadowing this summer. 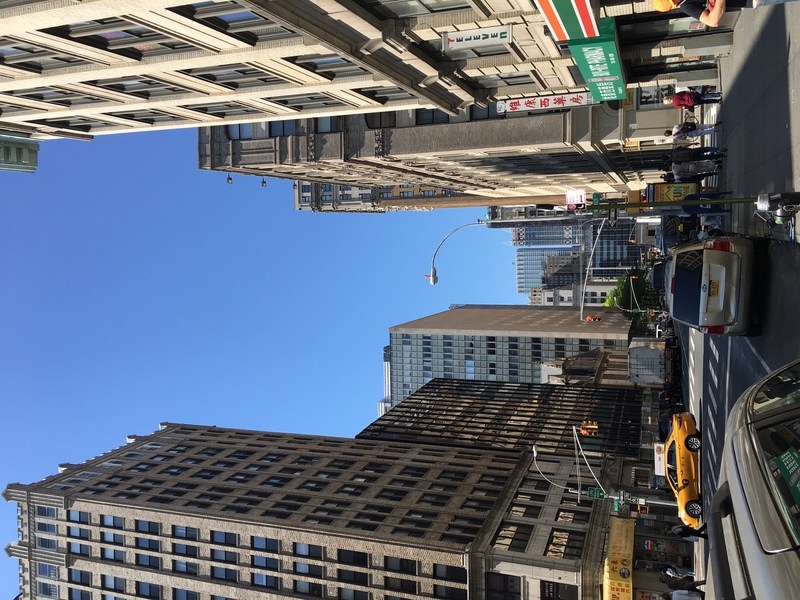 I find meeting with clients at the Manhattan Family Court before their court appointments to be particularly rewarding. LFC makes sure to leave time before court to speak to the children they’ll be representing to make sure all parties are on the same page about the child’s most recent circumstances. 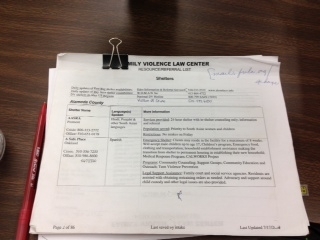 It is during these meetings that I see clearly the way Lawyers For Children’s work touches their clients. Instead of going into the court room, telling the judge what the child wants, and leaving, LFC takes the time to get to know their clients and why they want what they do. These pre-court meetings have shown me the difference between blind representation and informed advocacy. 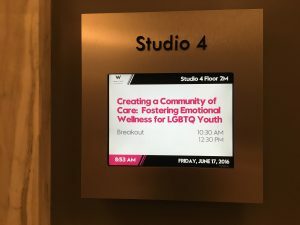 In honor of LGBTQ Pride Month in New York City, I had the privilege of attending a summit hosted by Hetrick Martin Institute and a panel of youth advocates from an organization called “You Gotta Believe”. The summit brought together hundreds of advocates for youth in New York City to discuss ways to create safe spaces for LGBTQ youth (an especially vital conversation after the tragedy in Orlando, FL earlier this summer.) Attending the meeting with foster care children in mind, the Youth Advocate I’m working with and I discussed with other advocates from different organizations the difficulty foster care youth have in finding stability in general, and how this struggle is intensified for those who are LGBTQ identifying. Often times, these kids face rejection from foster homes and from other foster children in their placements because of their sexuality or gender identity, making it more difficult for them to settle into new places. The work environment of my internship is different from university life in that, at LFC, everyone I’m surrounded by has similar goals in mind to make things better for the children LFC represents. At school, a lot of what we learn about is broad and large-scale, but at LFC I’m exposed to a tiny fragment of a small city and get to see the full effort employees put in every day, and the small levels in which change is needed. At LFC I’m developing skills in talking to and listening effectively to people of all ages and backgrounds, and learning to appreciate the importance of personal narratives. For many children in care who are moved from place to place, one of the most central, stable things they possess is their story. 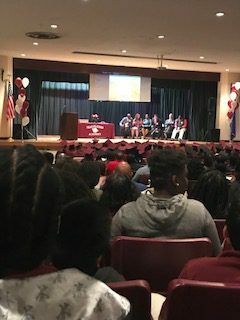 At the You Gotta Believe discussion, called “Nobody Ages Out,” adolescents who have recently aged out of the foster care system shared some stories about their experiences in care. 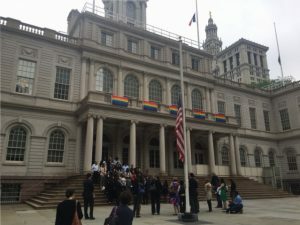 In NY, youth can legally sign themselves out of care at 18, but officially transition out at 21. The youth present at this month’s meeting were LGBTQ identifying youth who shared their experiences tied to coming out to foster parents and other children in their placements. It was very clear to me after this conversation that there is a lot that needs to be changed in the NY foster care system. The youth on the panel disclosed that foster care children are often left in the dark with regards to their placements and a large percentage of them have no warning or time for preparation when they find out they’re switching placements or need to move. LFC has a specialized policy and litigation task force that works on getting laws, such as the ones that allow for kids to be moved with no warning, changed and updated for foster care youth. 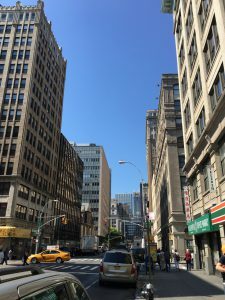 I had the opportunity to accompany one of the attorneys on the litigation task force to a New York City counsel meeting that was being held to discuss some proposed bills on foster care reform. The proposed bills aimed to address some of the issues in ACS policy that make it difficult to keep track of the housing and education choices of youth who’ve aged out of care.It was interesting to hear the counsel members question the Administration for Children’s Services (ACS) about some of the areas in which they are falling short. The counsel will be holding a vote on bills that will make it necessary for ACS to follow youth in care, send out surveys to gather accurate statistics about foster care youth high school graduation rate, and follow up on the whereabouts of youth who’ve aged out of care. 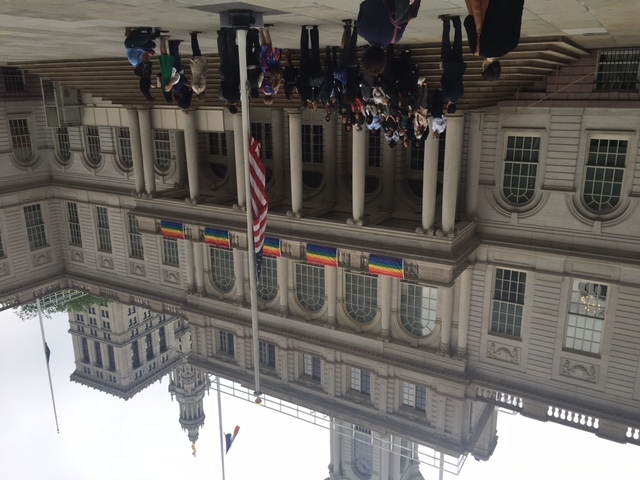 New York City counsel building decorated for pride month and hosting a press conference with the foster care youth who spoke at the meeting. 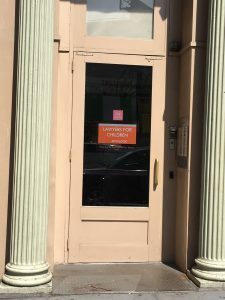 Lafayette St. where the Lawyers for Children office is located. 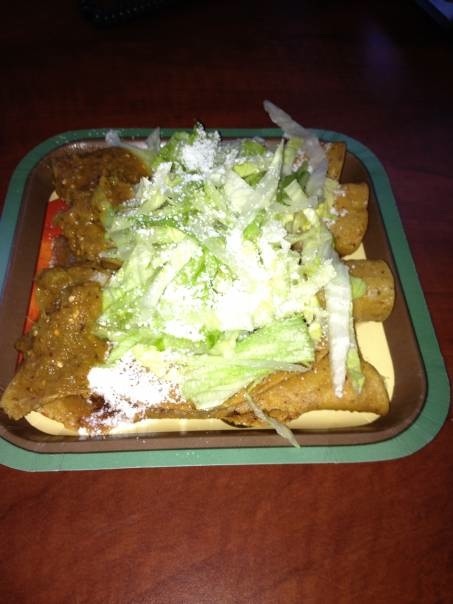 It’s within walking distance of Chinatown and Soho, so there’s always a good place to grab lunch at lunch break. 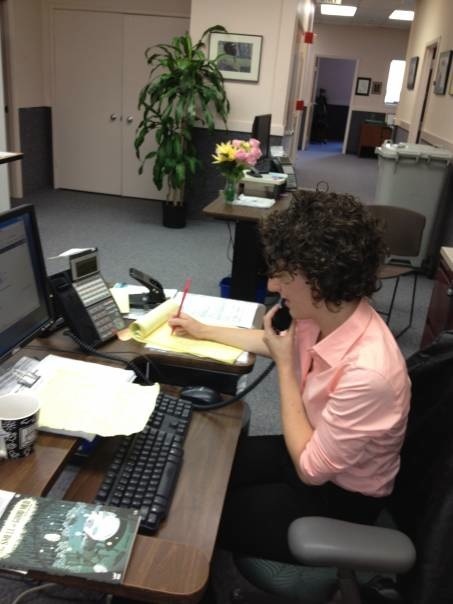 This week I began working as a social work intern at Lawyers for Children. Lawyers for Children advocates for children in New York City in abuse/neglect situations, children placed in foster care, and those involved in custody battles and paternity cases. The free advocacy service matches children with both an attorney and a social worker to ensure that they are adequately represented. The quality that sets LFC apart from other advocating agencies is that they are dedicated to advocating for what the children want in their cases, not only for what they believe is best for the kids. They work hard to ensure that the child’s voice is heard and that they have a say in decisions that are made for them. Lawyers for Children also has numerous special projects that focus on high-risk children in the foster care system such as an LGBTQ task force, an immigration project, a project for youth aging out of the system, a task force specializing in sexual assault, and a mental health project. 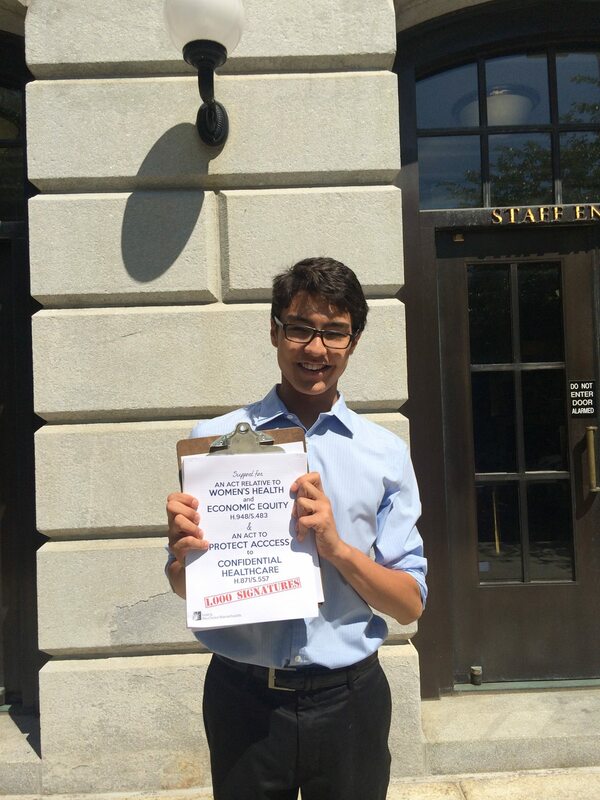 As an intern, I was matched with a social worker and a youth advocate at the center. Social work interns are directly involved in the work LFC does and I felt very welcome in my first week. 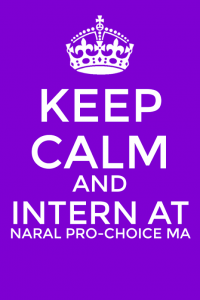 Interns accompany social workers on home visits, client interviews, and to court. I have really enjoyed working with my mentor, and already sense the dedication LFC has towards giving their clients a voice in their future. So far, it seems that the most trying part of the day is commuting on the subway during rush hour in New York City! On top of shadowing a social worker, I have also been working with a Youth Advocate in the office. This Thursday the Youth Advisory Board met at the office to discuss their experiences. The Board is led by Youth Advocates and is composed of young adults in the foster care system who are clients at LFC. We provide them with resources at the end of the meeting such as an application to help them find employment, and resources about youth-led projects in NYC. 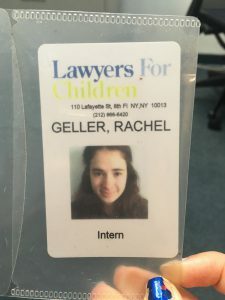 Serving as an intern at Lawyers For Children has thus far given me an opportunity to put into practice some of what I’ve learned and read about in classes at Brandeis. Now, I’m not only reading about court cases where individuals fought for their rights, I’m sitting in a court room with attorneys and social workers working to get the children what they need and want. I hope to learn how to effectively advocate for individuals who are in a difficult position to advocate for themselves, especially in a flawed system, such as the NYC foster care and child services systems. 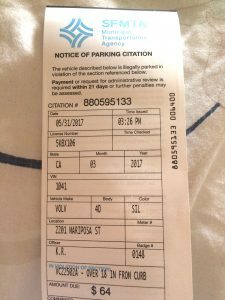 On August 16th, the project I was working on finally bore fruit. 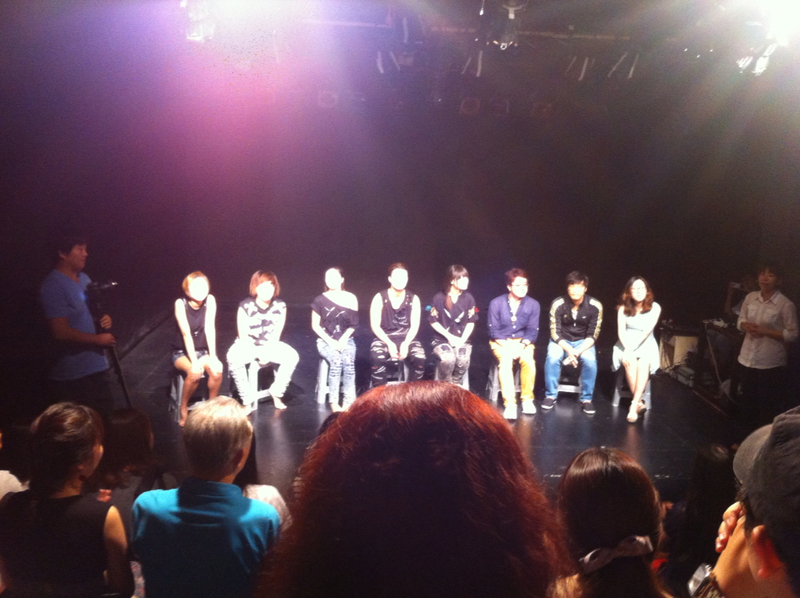 That day, the participants finally performed the play which they had been practicing for a month. 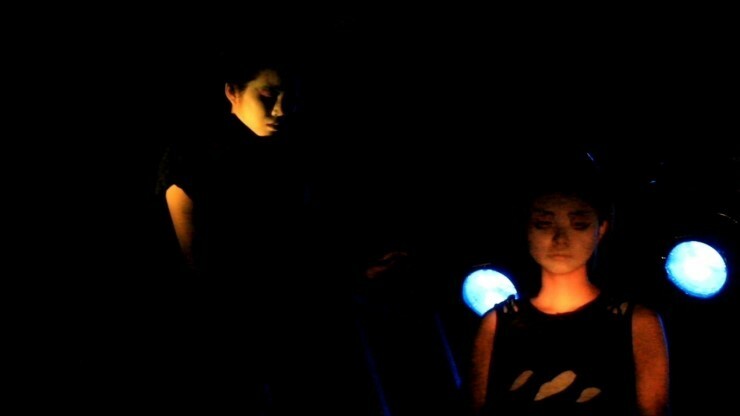 Approximately 200 people who came to see the play, which was performed twice that day. They were friends and family of the participants, high school students from theater clubs and other people who were interested in the subject. The play consisted of episodes based on the participants’ own stories. For example, there was an episode about how someone was bullied when he was in elementary and middle school, then he started to bully others in high school. Another episode was about some of the participants’ experiences with their parents’ divorces, and experiences they had as outcasts. 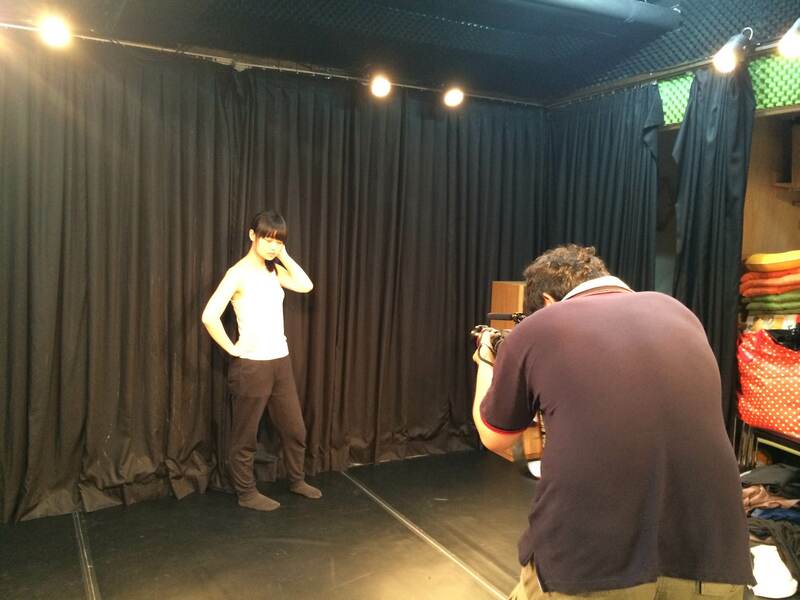 I was glad that quite a lot of people came to see the play and was especially glad to see that the participants’ friends and family came to see them. Lots of the participants do not have very close relationships with their parents because it can be hard for them to reveal their thoughts and feeling. Many r parents do not really know what the children are doing on a daily basis because they may be busy with work, so it’s hard for them to connect with their children. Even worse, some parents stop caring about their children. I had already known that most of the participants did not tell their parents much about what they were doing in the program, so it was nice to see their parents being pleasantly surprised by the performances. They were surprised by how capable their children are at performing and many of them did not even know about their children’s interest in theater. I spent my last few weeks coordinating for the next performance. For example, I managed the venue and advertising and more! I was also in charge of finishing the project and documenting the outcomes. Overall, I think it was a very helpful experience for my future career and personal growth. This experience has given me the chance to learn about my strengths as well as weaknesses. Moreover, it taught me what I truly want to do and what the right fit for me might be. The most important lesson that I learned this summer was the importance of work/life balance, especially when you are passionate and dedicated to what you do. The people where I worked this summer did not have much of a life outside of their work. It is admirable that they are working toward something that they can dedicate their whole lives to, but at times they could be overwhelmed by it. It is especially hard for NGO workers or social workers since they put a lot of energy and emotion into their work. Also, especially since I was working with participants whom I cared about, it was easy for me to get emotionally attached to them. Overall, I am happy to have had this internship experience, and I look forward to what is next to come. I spent the first few weeks of my internship finding participants for the theater project. I looked for individuals who were either North Korean refugees or high school dropouts. 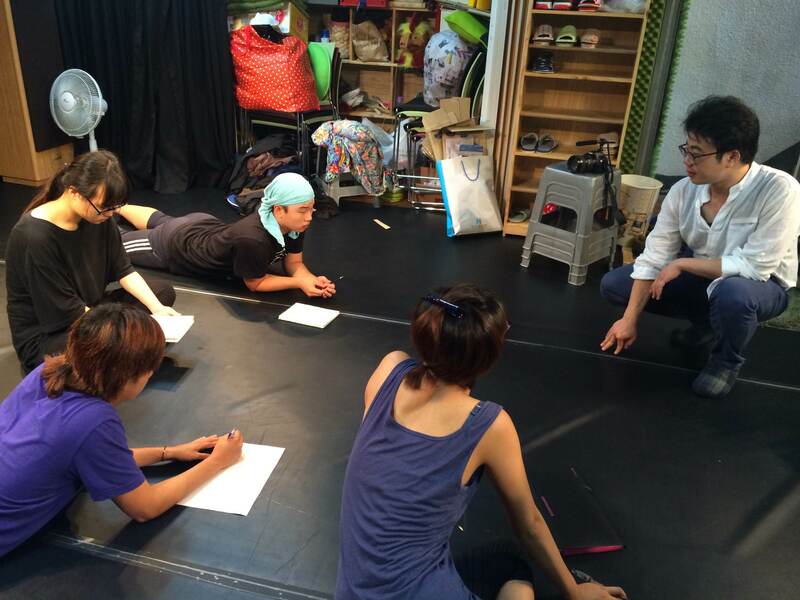 It has been three weeks since the project has officially started with those participants. (Learn more about the North Korean refugees and contact them in the US). During the first week, I was very frustrated when I saw the participants and could not even sleep very well at night because I was thinking about them. It was heartbreaking to see those teenagers, who are desperately in need of help and guidance but could not get themselves anywhere. It was especially frustrating for me since I grew up in an environment where I could access every resource I needed. I was eager to help them from the very beginning and I tried to do so in my own way. Unfortunately, this did not bring satisfying results and furthermore, this was the reason why my first few days with them were disappointing. I tried my best and did everything I could that seemed beneficial for the participants. Regardless of my effort, the participants did not welcome or appreciate my work. At that time I felt as if all the things I did to help them were rejected and I could not understand their self-destructive behavior. I could not figure out why everything was not working as well as I had imagined, so I started to blame myself, thinking that my actions were the direct cause of those behaviors. However, as time went on, they opened their minds to me and I got to know and understand them better. Now I know that I was impatient to judge those behaviors as due to my actions. More importantly, now I realize that neither their behavior, which is a result of their upbringing and past traumatic experiences, can be changed in a day, like a miracle, nor can I be their savior. I also learned that it is absolutely important to connect with the participants, but at the same time I should not be emotionally attached to them. I learned that not only might that lead to me making biased judgments, but also it is not good for my mental health. I also learned is that the participants do not need my pity. Every one of them has their own story, which I will not mention for their privacy, and after listening to their story it is easy to pity them. However, pitying implies that I perceive the participants as if they are inferior and this kind of perception will change the dynamic of my relationship with the participants. During my internship this summer, I wanted to learn how to engage with underprivileged people and I believe I achieved it through trial and error. The way in which I engage them which is different, but also similar to how I would interact with my family or friends. Moreover, by working with underprivileged people, I learned how to communicate with and understand people from different backgrounds; now I am more understanding and I try to put myself in other people’s shoes. However, as I mentioned before, not everything I did was successful. I have to admit that I made a lot of mistakes at the beginning and I still make them now. However, by keeping track of my actions and the results of my actions, and by having a designated time to reflect on them with my supervisor who taught me what I did correctly and incorrectly, I found ways to do better the next time. I believe this habit of reflecting on myself will be of great help no matter what I do in the future. Furthermore, being able to make mistakes was a precious experience; I will be a better person in the future through those experiences. My second goal was to have Walker assist me in the progress of becoming a social worker for children or adolescents. I feel as if I have made serious progress in the completion of this goal; at the end of my internship, Walker offered me the position of Child Care Worker in their Intensive Residential Treatment Program. This job brings me that much closer to becoming a social worker for children or adolescents, as I will continue to receive valuable experience in this field. Finally, my third summer goal was to become more comfortable in unpredictable situations. I have also made serious strides in the completion of this goal. Every day at Walker, I was required to adapt to the ever-changing environment and reactions of each individual child. Even the the same child can have drastically different actions depending on the day. As a result, I became much more comfortable in an unpredictable environment, as I needed to respond to the changes in children’s behavior and needs. I will undoubtedly be able to build off my experience at Walker during the rest of my time at Brandeis and even once I graduate. 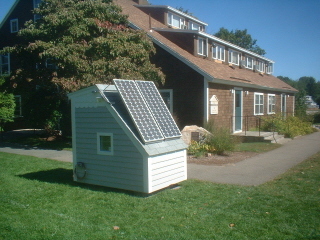 The Walker School provided me with the knowledge that will help me to do well in my classes at Brandeis. Furthermore, Walker also provided me with the skills necessary to work in the demanding mental health field. My time at Walker has begun to prepare me to become a social worker because it has given me the tools required to work toward that goal. Even though I have completed my internship, there is still so much more I need to learn. I believe that I will never truly be done learning — every child I will ever work with will always respond differently to certain situations and I can always learn new ways to help that child to the best of my ability. Additionally, although my internship at Walker has ended, there are still many more experiences I want to take on. I can’t wait to begin working at Walker as a Child Care Worker, as my extended time there can only help me grow and assist other children as much as I can. If people are interested in an internship at either The Walker School or in the mental health field, I would strongly suggest having a serious passion for that field. Working at Walker or in the mental health field can be very difficult as well as emotionally and physically demanding. However, if it is possible to push through the difficult times, the reward you get when you help a child who is struggling outweighs everything else. If you would like to learn more about The Walker School, please visit this link to watch a short video describing the organization. 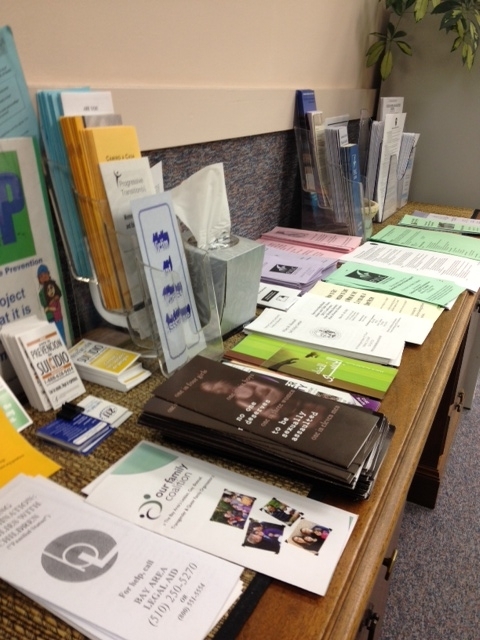 You can also click here to read about the different programs and services offered through Walker. It’s a tremendous place and I strongly encourage you to read about it. Before I began my internship at Walker, I outlined several learning goals I hoped to accomplish by the end of the summer. One of my learning goals is to integrate the Walker experience into my school work once I return to Brandeis. During the fall semester, I will be enrolled in courses called “Disorders of Childhood” and “Education and Social Policy.” During my time at Walker thus far, I have implemented developmentally appropriate social and recreational activities for children that have encouraged creativity and teamwork (if you’re interested, visit this link to participate in a training on how to therapeutically play with children). By implementing different types of activities, I have begun learning various techniques that can be applied in a school setting to encourage student learning and growth. A second learning goal is for the Walker experience to help me develop some of the attributes of an excellent social worker – a position I aspire to. A very important part about being a social worker is maintaining the trust of those you work with and are trying to help. The children in my program typically do not live with their parents and thus do not get to experience many things that people take for granted, such as having someone read a bedtime story. There have been nights where I was the person who put a child to bed, and through interactions like these, the children have begun to trust me and open up to me, thus allowing me to truly begin to help them. My third goal for this summer is to become more comfortable adapting to an unpredictable environment. Throughout my internship, I have worked with children toward the improvement of life-skills, ranging from how to wash their hands to how to make a grilled cheese. By working one-on-one with children who have different strengths and weaknesses, I have continuously altered my approach to properly teach these children various skills. This constant need to adjust to the varying circumstances has allowed me to begin to be more flexible with the changes in my own life. Even though I have achieved a lot during my time at Walker, I am most proud of the fact that I have begun to develop relationships with the children in my program. It has taken a lot of time and hard work, especially because of the trauma many of these children have experienced, but they have finally begun to trust me, talk to me, and allow me to help them. I started working at Walker because I wanted to help children who had gone through extremely difficult times, and now that I have formed relationships with them, I can now begin to teach and help them to the best of my ability. The skills I am developing at Walker will also help me in other aspects of my life, especially in a career setting. By going to work every week and interacting with the staff and children, I am learning teamwork, leadership, and the ability to provide a nurturing environment. These skills will help my future career plans because I want to be a social worker for children, and as such, I need to be able to work with my colleagues to provide a safe and therapeutic environment for the children in my care. Even though I am only half way through my internship, I have already learned so much and am excited to continue learning as the summer progresses. If you would like to learn more about The Walker School, visit this link to watch a video that talks about the different components of Walker. It is a special place. 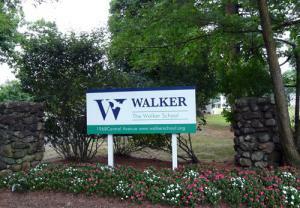 This past week was my first full week working at The Walker School in Needham, MA. The Walker School offers a range of special education and mental health services that provide intensive therapeutic and academic programs for children, adolescents, and their families. 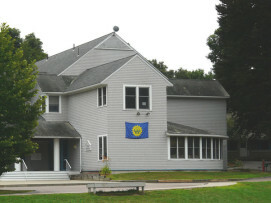 The Walker Needham campus offers a variety of services, including an Intensive Residential Treatment Program, an Intensive Community-Based Acute Treatment Program, and a school and summer camp. The programs are created for children ages 3 to 15 with severe emotional, behavioral, and learning disabilities or with a history of past trauma, including sexual abuse or disrupted foster placements. These programs provide therapeutic learning and living environments that help children to learn, grow, and heal and integrate successfully into society. As an intern in the Intensive Residential Treatment Program, I will participate as a member of a treatment team to meet the social, recreational, behavioral, and educational needs of children with severe emotional and behavioral difficulties and with histories of past trauma. I will plan, implement, and participate in social and recreational activities, help to provide a safe and therapeutic milieu, and assist with the implementation of treatment protocols. I will also co-lead activity-based groups for small numbers of children, work one-on-one with children toward improvement of academic skills, and facilitate developmentally appropriate and normalizing experiences for children, such as reading before bedtime. I found my internship through a series of networking. I am on the Board of Directors for the Brookline Teen Center and was part of a committee that interviewed prospective Executive Directors. The person we hired was the Director of Residential Services at Walker. After talking with the teen center’s new Executive Director about summer internship possibilities, I applied for a position at Walker because my passion and experience align with the goals of the organization. I emailed the Director of Child Care Training and was interviewed by the Vice President of Operations. I then observed a residential program to determine if it was a proper fit and decided Walker would be an extremely valuable learning experience for me. My first week at Walker was both rewarding and difficult. After spending only an hour going over Walker’s policies, I began working in my assigned residential program. All of the staff were extremely friendly and my coworkers immediately welcomed me to their program, introduced me to all of the children, and put me straight to work. Even after just one week, I can already tell that it will take the children a while to completely trust me, as many of them were previously hurt (either physically and/or emotionally) by adults in their lives. While some children quickly accepted my presence, others were more resistant listening to my instructions or even talking to me or sitting next to me. Regardless of these hesitations, my coworkers reassured me that, with time and the stability of my presence, the children will grow to trust me. This summer, I hope to gain as much knowledge and experience as possible out of my time at Walker. Above all else, I want to learn, to the best of my ability, how to help children who have gone through difficult times. I want to be a social worker for children when I grow older, and I believe that Walker will provide me with extremely valuable knowledge and skills, such as how to make children who have experienced abuse feel comfortable and safe around you. Once children feel they can trust you, they are then more likely to open up to you and the true healing can begin.